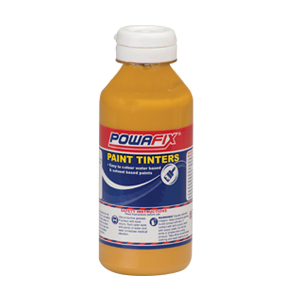 Powafix Paint Tinters is a simple, economical and easy to use paint tinting solution for light coloured or pastel shades. If Ph. is 7.8 or higher, dilute 2 to 3 cups acid with water in a 5 litre plastic bucket. Pour solution into the pool. Test Ph. again after 3 – 4 hours with the pump running and add same quantity if necessary until ph. is correct. Do not mix the product with any other chemicals. Store product separates from alkalis and segregate from oxidizing materials. This product is acid-based and highly corrosive. Ensure cap is tightly sealed and packaging is secure and upright at all times. Store product in cool, well-ventilated area. 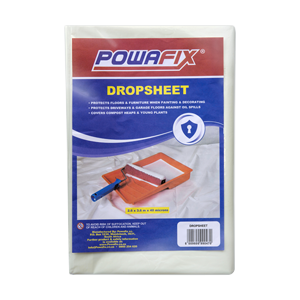 Secure product when transporting to prevent accidental spillage. Dispose of empty container-do not use for any other purpose. Do not dispose product into a common waste system. Contact 0860 254 620 for product disposal enquiries.